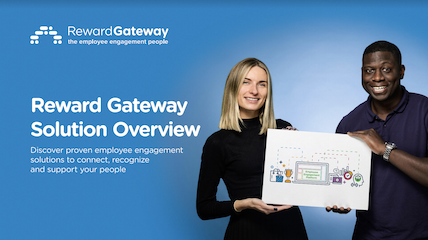 Download our free Solution Overview to learn more about how we can help deliver on your biggest employee engagement challenges. Understands and believes in the direction the organization is going. Understands how their role affects and contributes to the organization's purpose, mission and objectives. Genuinely wants the organization to succeed, and feels shared success with the organization. Engaged employees innovate more because they deeply want their organization to succeed. According to Gallup, 66% of employees are disengaged — a number that’s barely moved in over a decade. 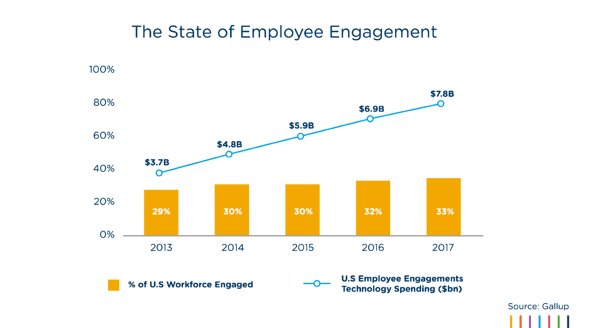 The landscape of employee engagement, and that of employee engagement technology, continues to evolve. At least, in some ways. Spending in the category of employee engagement technology has more than doubled in the past five years alone, topping nearly $8 billion, but despite that spend, engagement rates aren’t rising. And these disengaged employees cost the United States somewhere between $450 and $550 billion every year. No, that’s not a typo. The cost of disengagement is real, and it’s here. If you’re striving for employee engagement, you’re not alone. During more than a decade of helping more than 1,800 clients we’ve gained a deep understanding of company culture, employee engagement and the tools, techniques and employee engagement best practices that companies use to build meaningful connections with their people. Employee engagement is a choice that any organization can make. You choose to embrace it, to prioritize it and to invest in it because you understand the value that engaged employees will bring to your organization. You can’t force employee engagement, but your actions strongly influence it. You can create a culture and an environment where more and more individual employees choose to become engaged every day. Your actions enable individual employees to make the personal choice to connect and commit because they believe in you and what your company is doing. But this only happens if you invest in the right technology to move the needle on employee engagement. We’ve leveraged over 80 years of research to solve the ultimate challenge of creating the environment that leads to more engaged employees. And it starts by giving humans what they crave, especially at work. Purpose: Show me how what I do has purpose, makes a difference, and is relevant to the organization. So we’ve built a platform that gives employees — your team, your people — exactly what they crave to create the culture where people and performance thrive, and business results improve. 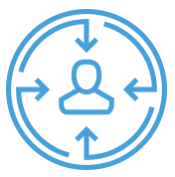 Our powerful platform starts with communications at the core of everything, boosting engagement with solutions for recognition, surveys and discounts to demonstrate greater respect, build a more defined purpose — and stronger relationships — across your entire workforce. Ultimately, employee engagement is a marathon, not a sprint. It’s not easy and there is no quick fix, but it is the most valuable work you can do with your biggest and most expensive strategic part of your business - your people. 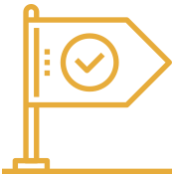 We’re here to help you get started, with the technology to move engagement forward, the real way.